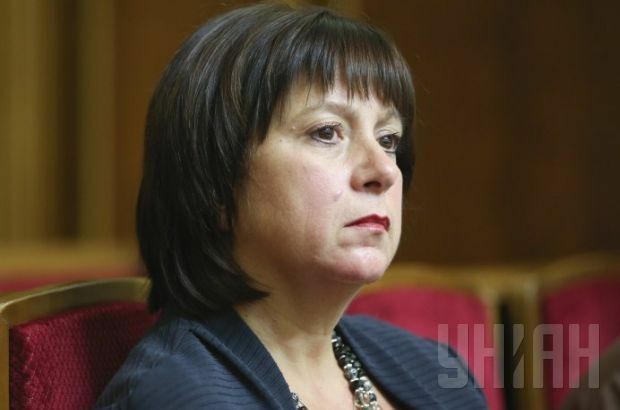 Ukraine will make a second payment to Russian gas company Gazprom by the end of 2014, the Finance Minister Natalia Jaresko said in an interview with the news Channel EurActiv on Wednesday. "We make our payments on time,” Jaresko said. “We have already made one since I took my office, and the other should be made by the end of the year. We will comply with our contracts." As UNIAN reported earlier, on December 5, Ukrainian gas company Naftogaz Ukrainy transferred to Russian gas company Gazprom $378 million in advance payments for gas supplies of 1 billion cubic meters. According to the Brussels agreement (the so-called winter package) on the Russian-Ukrainian gas dispute signed on October 29-30 after drawn-out trilateral negotiations between Russia, Ukraine and the European Union, the price of Russian gas for Ukraine by the end of the year is $378 per 1,000 cubic meters, and $368 dollars in the first quarter of next year. Naftogaz Ukrainy will have to pay in advance for shipments of Russian gas, according to the agreement. The terms of gas purchase in the first quarter of 2015 is a payment by the end of 2014 of a debt of $1.65 billion for previous gas supplies. In early November, Ukrainian state gas company Naftogaz Ukrainy transferred to Gazprom $1.45 billion in payment for previously supplied gas.